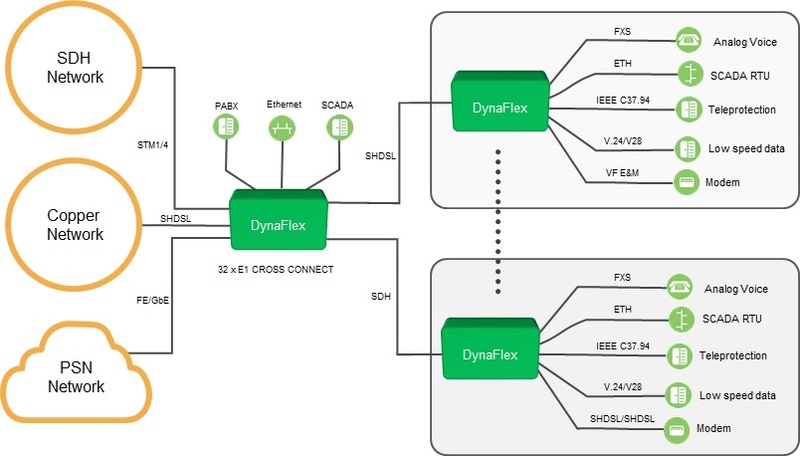 Avara’s DynaFlex product family is a flexible, fully featured, multiservice access platform with powerful cross connect and protection capabilities that is fully interoperable and compatible with the Nokia Dynanet product. DynaFlex offers a broad range of hot pluggable channel cards to complement a range of physical interfaces to seamlessly support operational networks. The Avara DynaFlex FXO/FXS Subscriber and VF units provide a variety of voice grade communications interfaces for the DynaFlex Multiservice Access platform. They support FXS, FXO and Voice Frequency interfaces with E&M signaling.